Preventative dentistry is a type of oral care that focuses on maintaining healthy gums and teeth in preventing: cavities, tooth sensitivity, gingivitis, periodontitis, and the loss of the protective enamel layer of teeth. The proper daily care for your oral hygiene can save you thousands of dollars in the long run, as it can cost an average of $40,000 to $80,000 in root canal treatments and dental crowns to have your mouth completely reconstructed. If you know that there are pending problems with your teeth, then you may want to discuss preventative dentistry methods with your dentist or prosthodontist. The main purpose of which is to prevent the formation and spread of oral disease & dental infection which can be costly and even life threatening. With over 45 years of experience serving Oxnard, our dental team is qualified to provide a full range of services focusing on preventative dentistry for both Adult & Pediatric dentistry. Visit the Oxnard dentist who has served Ventura County excellent preventative dental care since 1970 – Carson & Carson, DDS (805) 983-0717. Brush twice daily to help avoid the buildup of plaque and other bacteria in the mouth. Brushing daily with an ADA approved fluoride toothpaste is the most crucial step in preventing future issues with your oral health. Flossing in between teeth and brushing the tongue are also critical steps in maintaining healthy teeth that should be done daily. 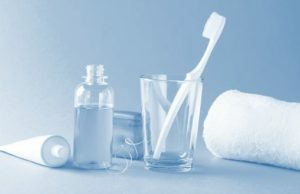 Visit our brushing techniques page for more information on the best methods for cleaning your teeth. Visiting your dentist at least twice a year is a key in preventing oral disease according to the American Dental Association (ADA). Your dentist can provide professional cleaning and management of any developing problems or imperfections & can even offer you insight or treatment that may save your life. Maintain a Healthy Diet. A diet high in sugars and carbohydrates aids in tooth decay as these types of nutrients strengthen the bacteria that produce dental plaque. Diets lacking sufficient calcium will promote the premature deterioration of the jaw and the development of periodontal (gum) diseases. Finding the right balance of nutrients will help strengthen teeth by providing the minerals necessary to properly maintain healthy teeth. Avoid smoking tobacco or drinking alcohol. These practices not only destroy your teeth but can also lead to: tooth discoloration, dry mouth, gum disease, tooth loss, plaque buildup, and can eventually cause oral cancer. Use a Waterpik or Water Flosser. Waterpiks are powerful water flossing tools that offer a better cleaning experience than traditional floss does. They are clinically proven to be effective at: improving gum health, removing plaque and bacteria, and cleaning those hard to reach areas that a toothbrush or sting floss can’t. This form of flossing is fast, easy, and ideal for cleaning unreachable places such as the space between braces and your teeth. We offer preventative services such as Dental Cleanings, state of the art dental CT scans & digital radiography for early detection of oral cancers, and fluoride treatments at Carson & Carson, DDS. Cancer: Oral Cancers can be the result of many natural situations with your teeth, but it can also result from conditions that arise from a lack of oral care. Poor oral hygiene habits, persistent canker sores, and having unremoved wisdom teeth can put you at higher risk for developing cancers of the mouth. Respiratory Disease: Germs in your mouth can travel to different parts of your throat, potentially leading to breathing issues or respiratory disease. Heart Disease / Cardiovascular Disease: Veins in your lower jaw lead to your heart & can cause significant cardiovascular issues if they become infected. These are examples of pit and fissure sealants. Sealants reduce the probability of caries by about 90% on the tops of molars. I also recommend fluoride treatments to inhibit interproximal tooth decay. Our professional dental team at Carson & Carson is always prepared to speak to you about the cost, process, or any general concerns you may have about Preventative Dentistry. Call (805) 983-0717 today to make an appointment with some of the best dentists in all of Ventura County: Carson & Carson, DDS.